In many ways Antony Price made Roxy Music the in crowd that they used to sing about. 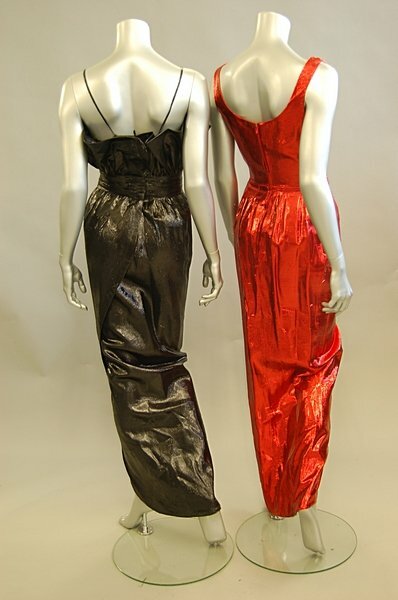 Often called the silent member, he created a look ahead of its time: fetish wear fused with fantasy, the 80s long before the 70s were over. He created the visuals for their album covers. 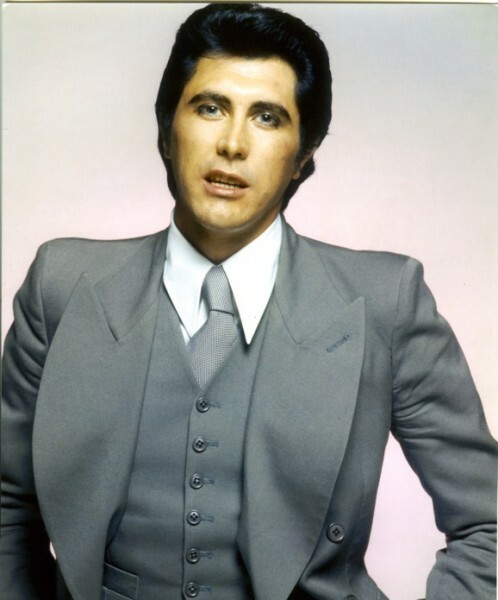 He shaped Bryan Ferry into a style icon in shiny matinee idol suits – a little bit military, a little bit Dietrich. He designed high-waisted trousers with intriguing seams up the bottom and called them “arse pants”. Mr. Price also dressed Gayla Mitchell for the infamous back-cover shot of Lou Reed’s Transformer album. 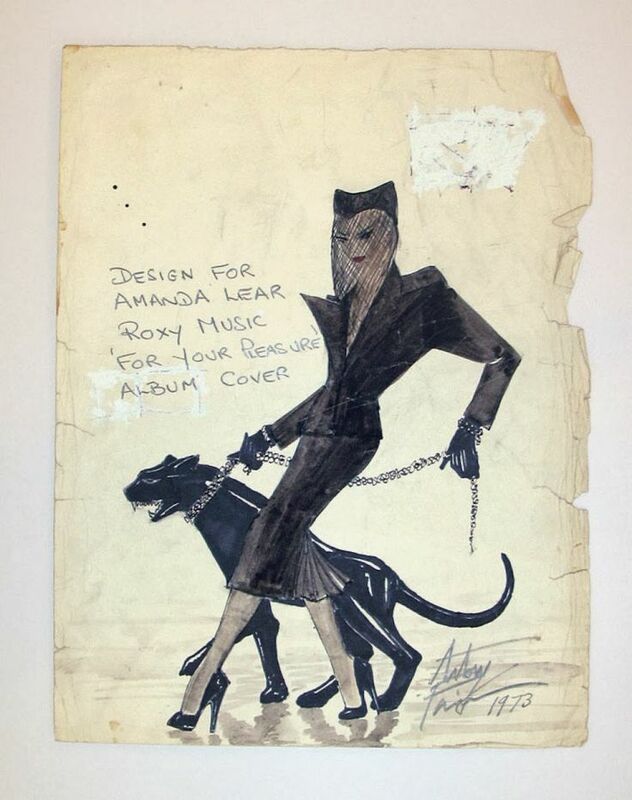 A decade later he created the highly stylised look of Duran Duran – Nick Rhodes had been obsessed with Roxy Music. 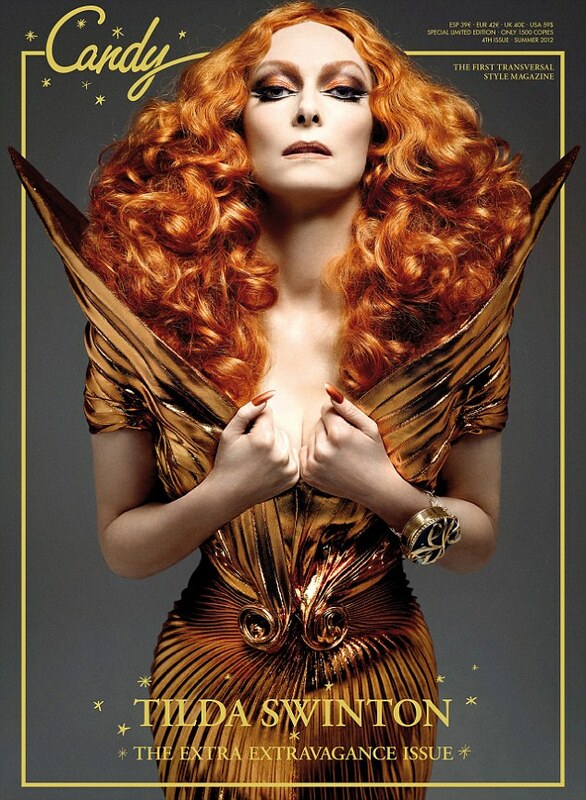 He made Jerry Hall look like a mermaid throughout the 70s and 80s. He could deal with all sexes and shapes; he knew how to “get the best out of the flesh”. He cut to create illusion. 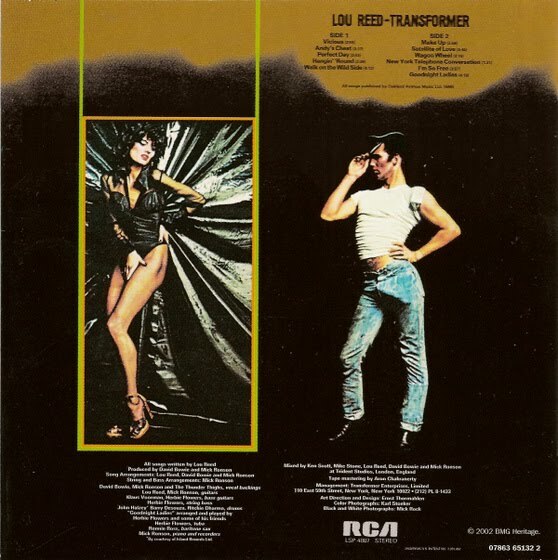 Back-cover of Transformer by Lou Reed. Antony Price (born in 1945) graduated from the Royal College of Art 40 years ago, just after David Hockney and Ossie Clark, and was a perfectionist even then. He would hide from the caretaker so he could stay in college and machine all night. 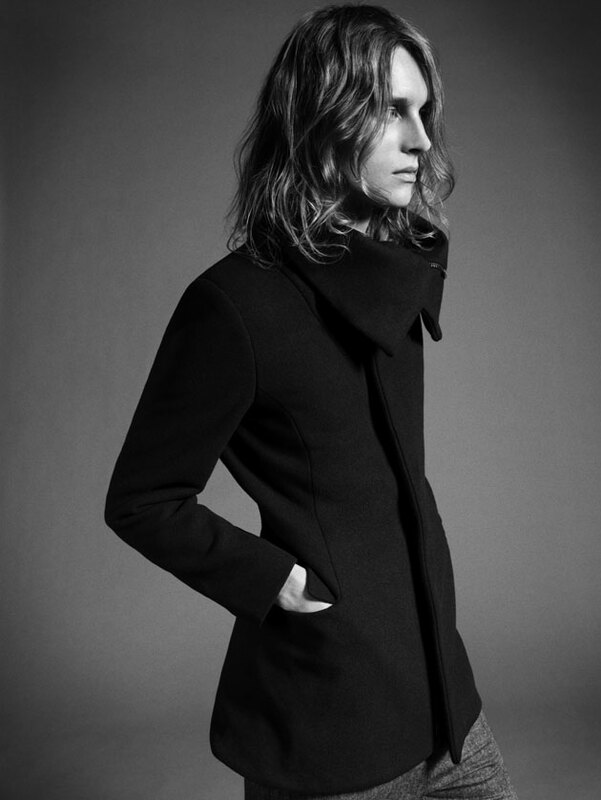 When he graduated he was recruited to the Stirling Cooper group, which was at the heart of fashion in the 60s. Prudence Glynn, fashion editor for The Times tipped him as a major new fashion talent in ‘Trendsetters’, giving him the main picture and writing that ‘Antony Price is a sensational cutter and he puts a lot of work and thought into the shaping of even the most casual clothes. 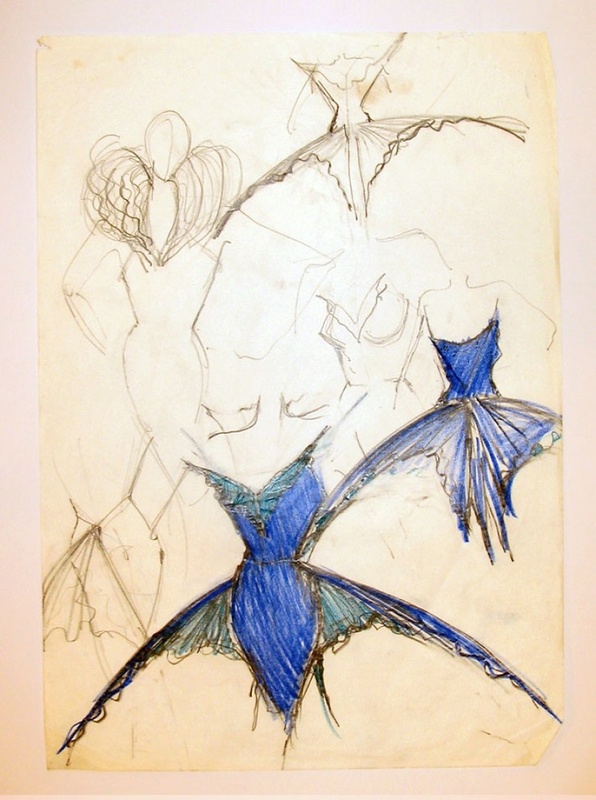 His range of little bare tops in crepe and cotton, for example, are technical feats, for they all have bra sections cut into the pattern … he is undoubtedly a trendsetter and in advance of his time … his clothes have great wit and gaiety and he is certainly a name to be watched in the future’. 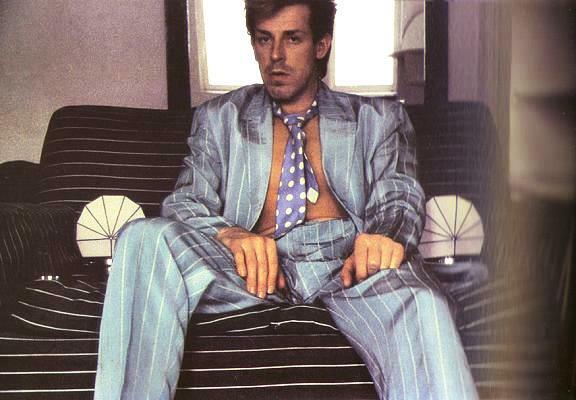 Before long Mr. Price was styling the Rolling Stones, Roxy Music, David Bowie and was responsible for the controversial back cover photo of Lou Reed’s ‘Transformer’ album, featuring a model with a cucumber down his trousers. His button trousers for Stirling Cooper were worn by Mick Jagger for The Rolling Stones’ 1969 American Gimme Shelter Tour. In addition, his bridge-crutch trousers were feat of technical skill, inventing a new construction that high-lighted the male crotch and buttocks. 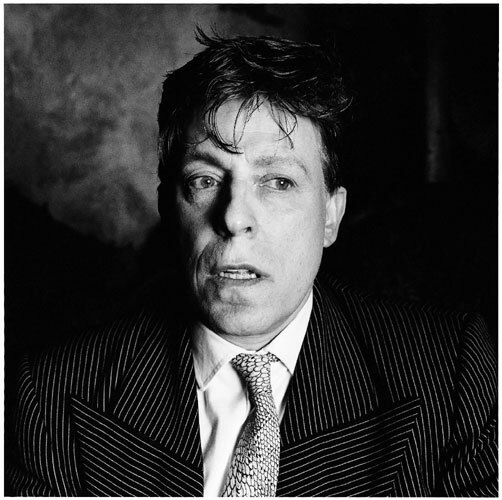 Mr. Price has been credited as the chief illusionist of what he dubbed “the Roxy Machine” and contributed to all eight album covers – something which can be boasted by no-one besides Bryan Ferry himself. 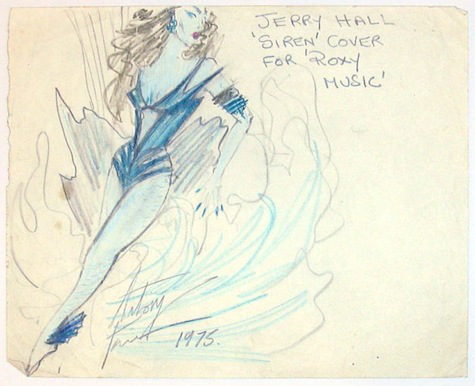 The manner in which Mr.Price dressed – or in many cases, undressed – the “Roxy girls” on the covers of their albums helped to define the band’s pop retro-futurism. He joined the Plaza Clothing Company in 1972, which specialised in the mass production of garments in retailers in the United Kingdom and abroad. Portugal. He spent 5 years working in Portuguese factories concentrating on developing ranges of stretch garments that sold in extremely large quantities to all major fashion outlets.. In 1979 Mr. Price and his business partner Richard Cunninghmam (Head of Sales at Plaza) began a 15 year business relationship and took over the Plaza shop launching his own label, Antony Price, with shops in SouthMolton Street and on the King’s Road, which became the centre for Rock and Roll Glamour for the stars and also involved major interest from various magazines; Vogue, Tatler and Harpers and Queen. The blue glass exterior of the shop was hailed in high esteem by retail architects and the media as it had a revolutionary method of visual merchandising, i.e. the clothes were displayed as art within the store. The window was a huge television/cinema screen displaying controversial fashion images of the clothes sold within. He also operated a shop called ‘Ebony’ in the 1980s. 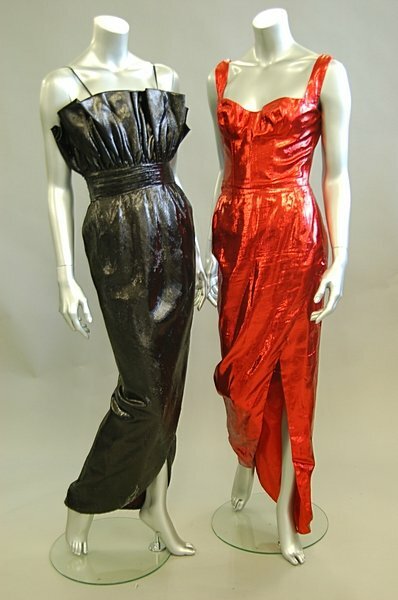 And in 1982 he collaborated with the British band Duran Duran, designing electric silk tonic suits for the “Rio” video. 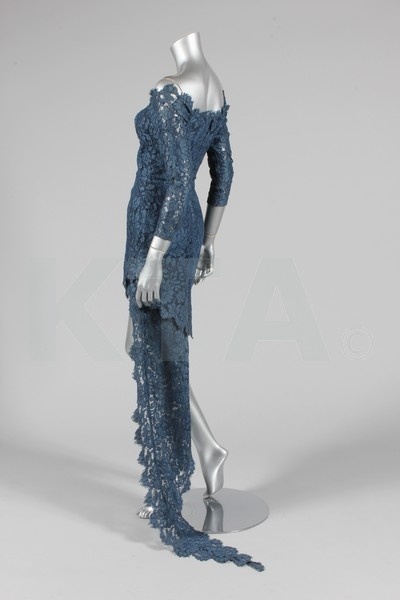 Antony Price received the ‘Evening Glamour Award’ from the British Fashion Council in 1989 and the following year British Vogue published a profile on Price written by Sarah Mower. He was widely considered to be a frontrunner in the search to replace Gianni Versace in 1998, after that designer’s untimely death. Like the rediscovery of Celia Birtwell, Topshop’s Topman brought out three Antony Price collections (s/s 2009, a/w 2009 & a/w 2010), called Priceless, which were only on sale in the UK and the US. 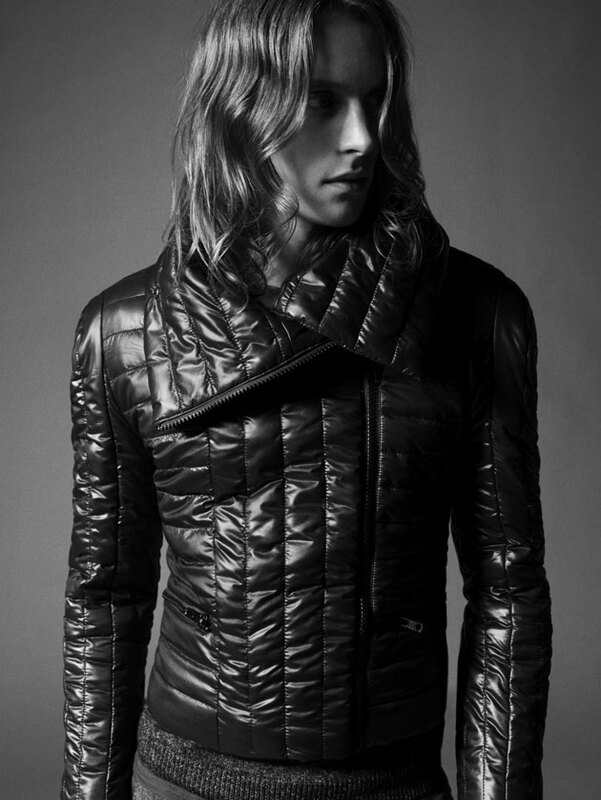 He also assisted Daphne Guinness on her eponymous line of exquisitely tailored shirts for Dover Street Market. The secret to his success? 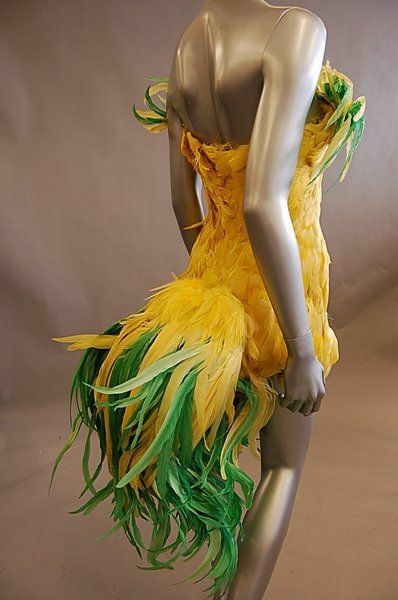 Antony Price is a master tailor, incredibly adept at sculpting and moulding the body to perfection. 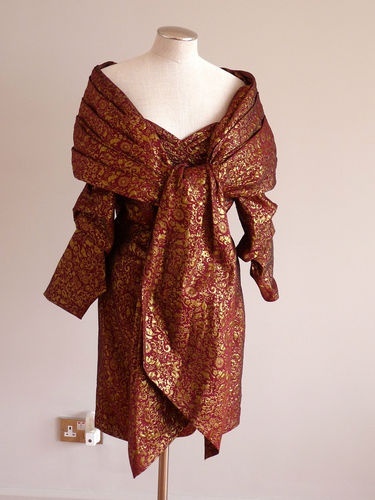 Not for him size zero waifs, his dresses are created for women who have curves – and aren’t afraid to show them off in figure hugging, eye-catching dresses. The likes of Alexander McQueen and Roland Mouret have plenty to thank him for. 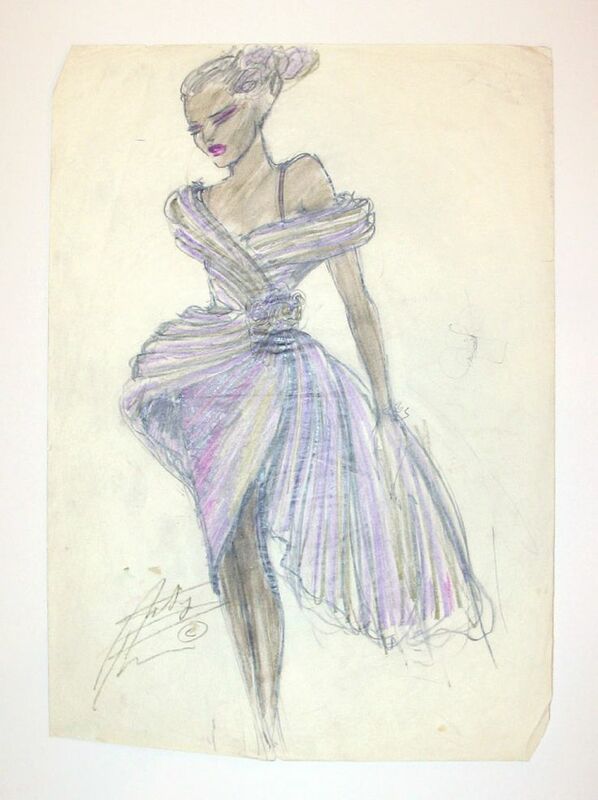 Antony Price has remained unfinanced through out his entire career trying to compete against his French and Italian counterparts in the glamorous couture end of the Fashion industry. It has been a notoriously difficult journey, but Price fights on. “He is one of the most remarkably gifted people I have ever met, and an authority on a bewildering range of subjects. He is a master craftsman – quite rare in this day and age – and has quietly exerted an enormous influence on so many people. Although most of his work has been associated with urban nightlife, he is surprisingly a man of nature, an expert on exotic plants and rare birds and the niceties of human behaviour. To those who know him he is a constant source of amusement. 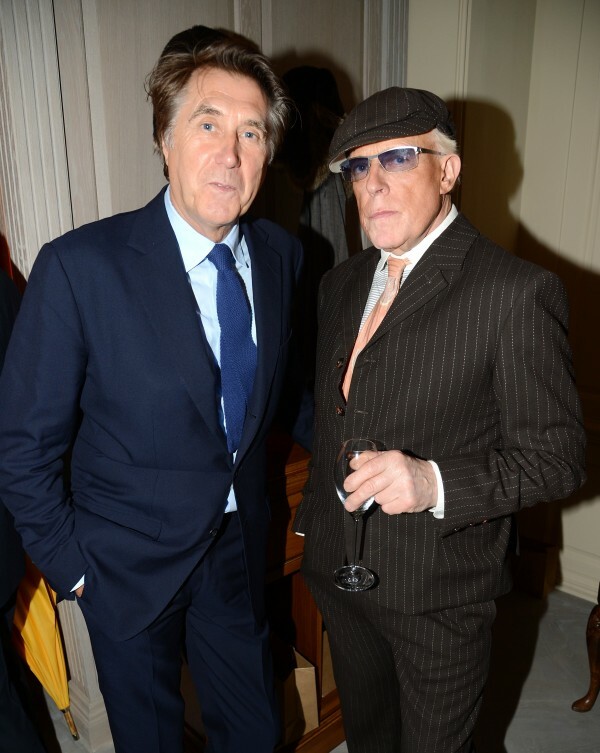 In times of adversity, an incredibly loyal friend.” (Brian Ferry). The mustard coloured suit Bowie is pictured in here is by Freddie Buretti and not by Antony. Lovely article, Wonderful talent, Beautiful clothes. 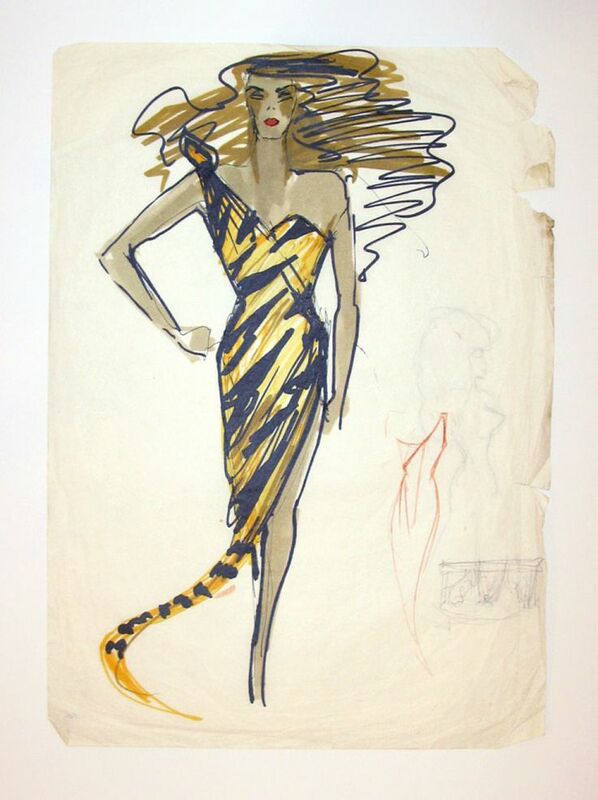 I have an amazing Anthony Price Gold cocktail dress very similar to one of his drawings you have shown. Any ideas of collectors that may be interested in it? I am pretty sure collectors are interested! I don’t know any my self, but you can try on Vestiaire Collective or Rebelle.com.